LA finally was able to put to bed rumors of a “handshake” deal between The Phillies and Baltimore for a deal for Manny Machado, and LA finally got their guy. If you’ve noticed a pattern during the first to third pieces, I can’t stop talking about LA, for a variety of options. To me, they highlighted in the greatest way a team that was at the bottom of the market, and I couldn’t stop talking about it. With Machado, they become an instant contender in a wide-open National League, get gold glove defense at shortstop to replace Corey Seager, and put a deadly power hitter in the middle of their lineup. It’s hard to invest in Machado in some fashion, he’s coming over halfway through the season, so he’s not going to win an MVP, but you can invest in this Dodgers team like I’ve been begging you to do all season. The move bumped LA from -130 to win their division all the way out to -280, so that window has closed a bit but you need to get a piece of LA for the playoff run, they may not be done yet. On the other hand in a move that went way more under the radar, The Cleveland Indians acquired all-star closer Brad Hand from the San Diego Padres to bolster a quietly struggling unit, especially on the back end with Cody Allen. Andrew Miller is also making his way back and will be ready in just a few weeks, but truthfully it doesn’t really matter due to the fact that The Indians play in the worst division in sports. Cleveland can sit their starters the last month of the season and still walk into their opening playoff series, so much like LA, they are worth an investment as they will be by far the most well-rested team. Hand is going from the National League to the American however, and it’s been shown to have a bit of a learning curve, just ask Marc Melancon. Hand is 2-4 with a 3.18 ERA and 24 saves. 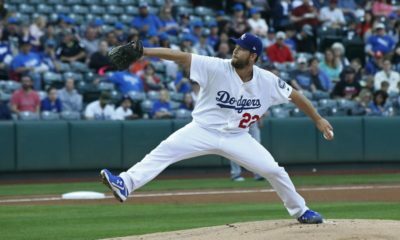 Some other notable pitchers likely to be on the move this year include Cole Hamels (being scouted by Braves along with Kyle Barraclough, and Adam Conley, Mike Moustakas (Brewers) Brian Dozier (Brewers), Curtis Granderson (Phillies), The Phillies are also interested in Asdrubal Cabrera, Derek Dietrich, and Eduardo Escobar. Philadelphia needs to be very careful and not fall in love with the fact that their rebuild happened about a year or two ahead of schedule and not give up prized prospects that will help them continue to improve for the next five-plus seasons, and it may have been a blessing they didn’t give up anything for a one year rental of Manny Machado. Zach Britton is being eyed by The Astros, but they have competition from The Yankees and Cubs, Dylan Bundy, and Jonathon Scoop by both Atlanta and The Yankees. Atlanta is in the same position as Philadelphia and should stand pat with their young talent unless they can agree to an extension prior to any trade. 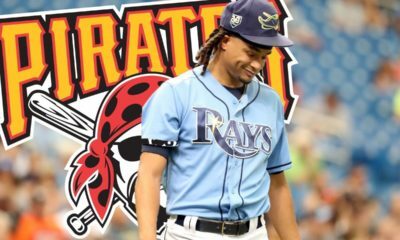 Finally, Chris Archer is drawing maybe more interest than he should be, however a change of scenery may do a world of good for him, and Sonny Gray has been a trade candidate all season due to his struggles at home in New York. Archer recently threw a dominant performance with 13 K’s with scouts from various teams watching. MLB.com has a few great articles about expected trades Here and Here. In something straight out of the Oregon Trail, Noah Syndergaard contracted hand, mouth, and foot disease (seriously) and will be out of action for a few stars while he recovers, and Blake Snell was put on the disabled list with right shoulder fatigue-which is very scary if you are a Tampa Bay fan or futures holder. The Mets appear to believe Syndergaard contracted the virus during the all-star break while working at a children’s camp during the All-Star Break. Not a great sign for The Mets, as it will hurt the trade value of Syndergaard if their plan was to try and move him prior to the deadline, and as with deGrom, the winter meetings are a much more likely time for their co-aces to be moved if they go that route. 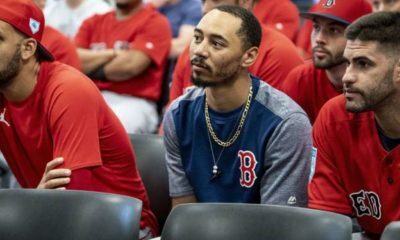 For Blake Snell, this could be a death sentence to the Tampa Bay Rays chances of making the playoffs this season and for Snell’s Cy-Young aspirations. Shoulder fatigue is never a good sign, especially in your throwing shoulder, and Snell could be heading for a lengthy absence as The Rays make sure their ace is 100% ready to go before returning. Snell had a league-best 2.15 ERA in the first half of the season. In some good news on the injury front for The Mets, Yoenis Cespedes returned from a heel injury costing him the majority of the 2018 season, but with The Mets completely out of it, there is little stopping the team from shutting him down-or moving him. Matt Carpenter has always been on the tip of every analyst’s tongue when talking about annual breakout candidates, and my lord has he been hotter than the sun. Carpenter saw his consecutive games with a home run finally come to an end after six straight games with a dinger on Sunday, but he did plenty of damage during that time frame. Carpenter was 9-17 (.529) with six home runs, two doubles, and three walks in the Cardinals five-game series against Chicago. He became the first player to hit six home runs in a series at Wrigley Field. From a fantasy perspective, it’s always good practice to fade recency bias and somewhat short the stock of a player after a historic week like that, but Carpenter is the best hitter in that lineup with Ozuna and is here to stay. Other players with multiple home runs in the same game last week were Joey Gallo, Nolan Arenado, and Derek Dietrich. Double-D may be on the move as well as a super utility guy with 30+ home run upside.